Great for shade. 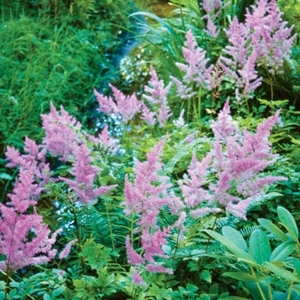 Astilbe brings a graceful, feathery aspect to moist, shady landscapes. Red, White, & Pink varieties.